Alex English was the engine behind the high-powered Denver Nuggets teams of the 1980’s. A rangy small forward from the University of South Carolina, English became the first player in NBA history to score 2,000 or more points in eight consecutive seasons while turning out for the Nuggets. English led the NBA in scoring average in 1982-83, with 28.4 points per game, and finished his exemplary career with 25,613 points. With English at the helm of Denver’s offense, the Nuggets made the playoffs in nine consecutive seasons and won two Midwest Division titles. English’s impact in Denver was not limited to the hardwood, as the community-oriented small forward was named the recipient of the NBA’s prestigious J. Walter Kennedy Citizenship Award in 1987-88. 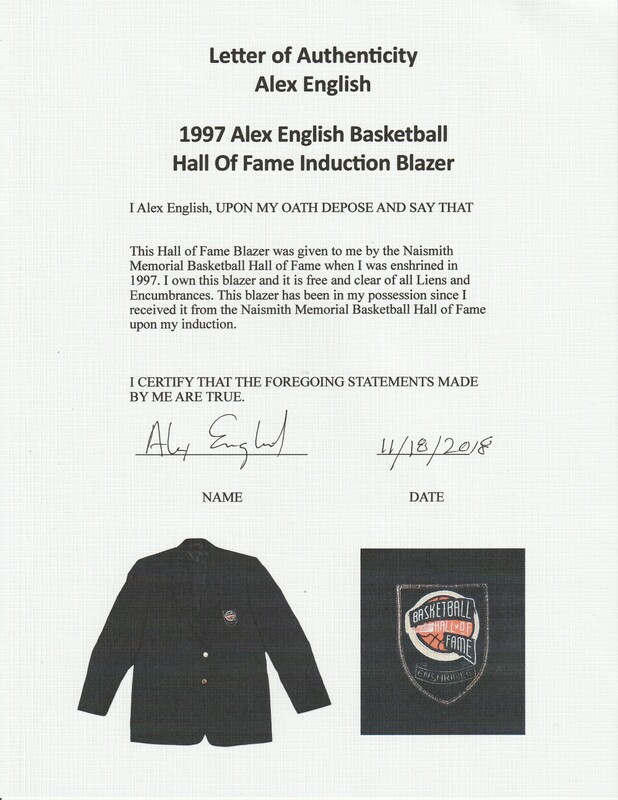 The Nuggets retired English’s number “2” in 1992, and in 1997 English was inducted into the Naismith Memorial Basketball Hall of Fame with career averages of 21.5 points, 5.5 rebounds, and 3.6 assists per game. 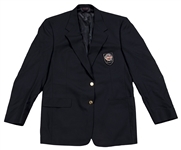 Goldin Auctions is proud to offer the very Naismith Memorial Basketball Hall of Fame enshrinee jacket given to English upon his induction to the vaunted halls of Springfield, Massachusetts. 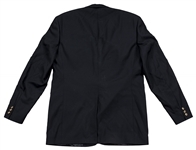 This jacket is black and made by the tailored menswear company Hart Shaffner Marx. Two gold buttons in a design incorporating the glove and a basketball are located on the chest, with three of the same buttons on each sleeve. 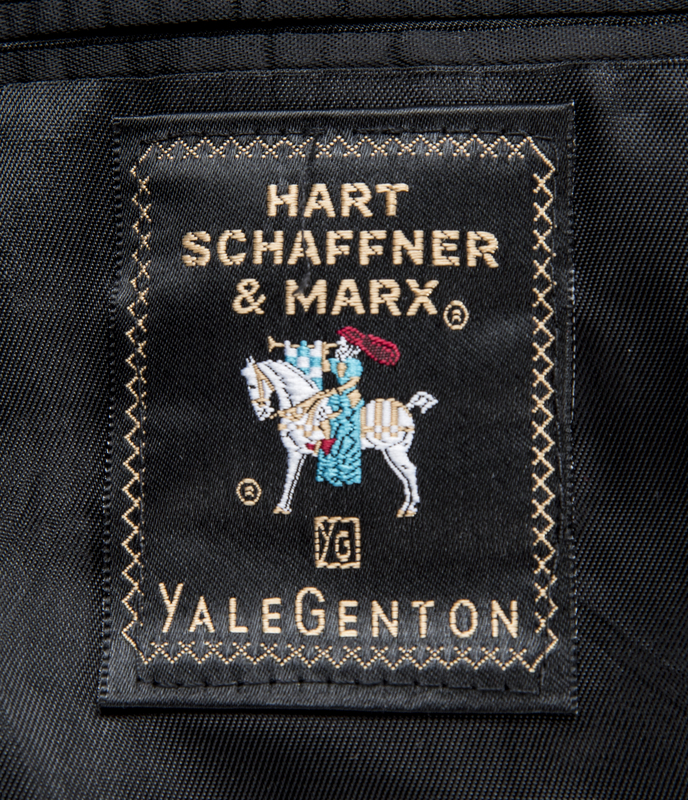 A Hart Shaffner Marx tag is sewn on the inside lining of this jacket. 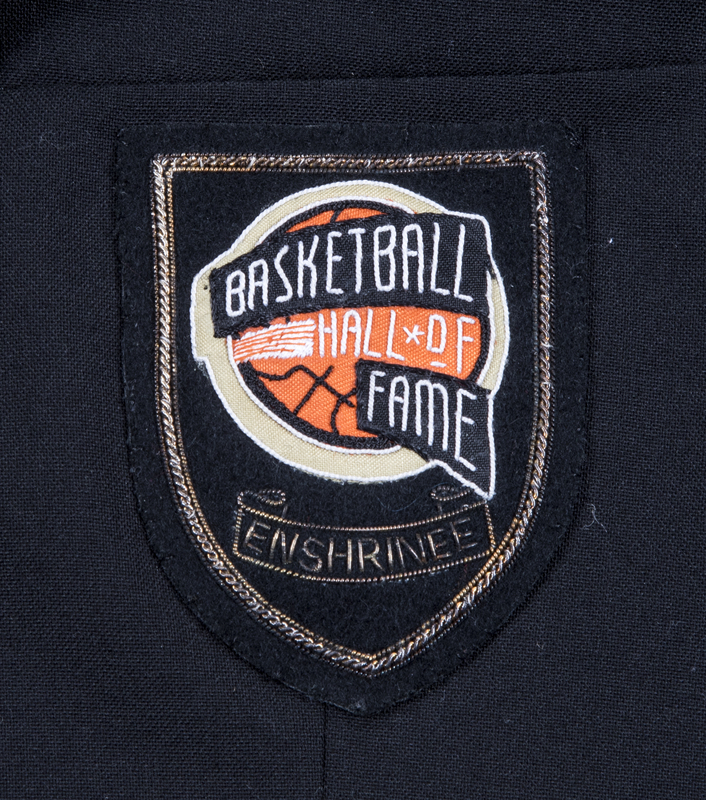 The left breast sports a Naismith Memorial Basketball Hall of Fame Enshrinee patch. 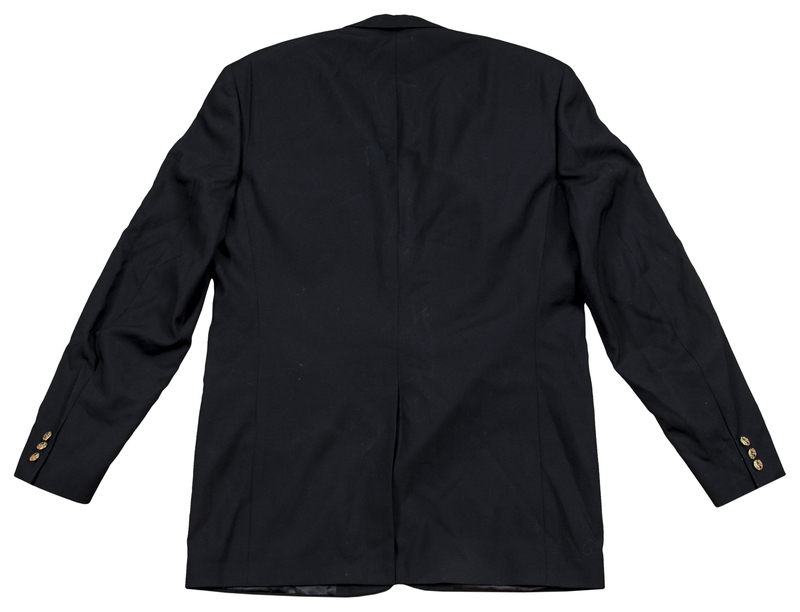 This jacket is accompanied by a Letter of Authenticity signed by Alex English himself.